Experiencing changes? Facing knotty issues? Needing insights? Is it all too much? face to face, by telephone or on Skype. In an astrological session with me you will have a roughly two-hour session in which you may ask any questions and raise any issues. Usually you'll come out of it feeling clearer, more inspired or with more of a sense of strategy and process - or perhaps an insight that your 'problem' might be an advantage or a blessing. Each session is unique. You will receive a PDF astrological chart by e-mail beforehand, with your birth chart and 7-8 years of 'transits'. Transits indicate current, past and future changes in your life. You can print this out, present it to other astrologers, or use it as a basis for reading up on your birth chart. Afterwards you will receive a digital MP3 soundfile recording of the session - useful to keep and listen to later. You'll probably find there are details and nuances from the session that you didn't pick up first time round! The recording will help you remember exactly what was said, in the spirit and the context in which it was said. People often refer to these recordings again and again, since some things take time to sink in or to mull over. Or perhaps I might drop in an uncanny insight that becomes significant later on. A lot can happen in a session, so the recording is valuable. My main interest is not to predict the future. The aim of any good astrologer is to provide insights into your current situation so that you can do something about it. When you're in changeful times, this can be really useful. But often I mention past situations or future possibilities to put the present into perspective. I help you understand the present time and the full extent of your situation - and what lies beneath and behind it. This helps you get to grips with your situation, broadening your sense of options. It can inform you of issues, experiences or options that might arise in the future, to give you some orientation and a sense of direction to head in. I'm good at giving you a sense of longterm perspective, helping you clarify the past and your sense of direction for the future. But still, this mainly concerns the present and what to do now. Usually you need only one session. The recording is often valuable later on, even many years later. A follow-up session can indeed be done if there's a need, but that's not very common. Some clients come back roughly every 3-5 years for an update. Astrology is a diagnostic tool that saves time getting to the nub of things. It goes deep in its understanding of human nature, life's situations and their meaning. Astrologers can discern patterns, trends and cycles unfolding in your life, and quickly. The astrological worldview is deeper and wider than in a lot of normal counselling. Astrologers can also identify the timings by which issues and internal dynamics surface and play out in your life. This gives a sense of process, helping you identify where you currently stand in that process and where to go from here. At times you might be feeling you're stuck, failing, not 'getting it', or you might feel you're losing your way. Such situations are never permanent, and an astrologer can tell you when you need to be patient and persevering, and when you need to step on the gas and act. Astrologers are useful to people who are experiencing big changes, or when they're standing on the edge of thresholds and decision-points in life. Astrology has had bad press but this is largely based on prejudice. Oxford university was founded by astrologers. Newton and Kepler, founding fathers of modern science, were astrologers. Astrology today has high levels of advanced study and many astrologers work to the highest of standards, sometimes higher standards than those applied in psychology and psychiatry - not least because we're up against a barrage of criticism and disapproval, so we have to try harder! This 'bad press' will change one day. I started studying astrology in 1972 after studying social sciences at the LSE. I had also been part of the spiritual and political awakening of the 1960s - growing up in Liverpool. By 1979 I was ready to start practising - it took me about seven years to become genuinely proficient. I set myself high standards. Perfectionist Virgo, me. Since then I've had a steady stream of astrological clients, many of them returning over the years. I haven't counted, but it's thousands. 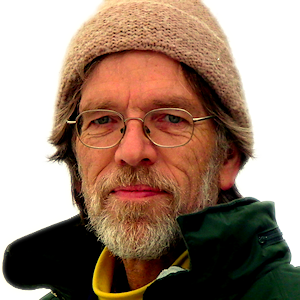 In the 1980s-90s I brought new ideas into the astrological community in Britain, including new experiential therapeutic techniques. Especially through founding a tradition of astrology camps that continue today without me. 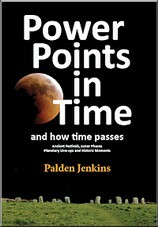 I've particularly researched cycles of time, about which I've written three books: Living in Time (1987), The Historical Ephemeris (1993), and Power Points in Time (2014). I'm a thinker, author, webmaster, editor, photographer and humanitarian worker. I live in West Penwith in the far west of Cornwall, UK. For more info about me look here or tool around on this site to see what else I am up to. 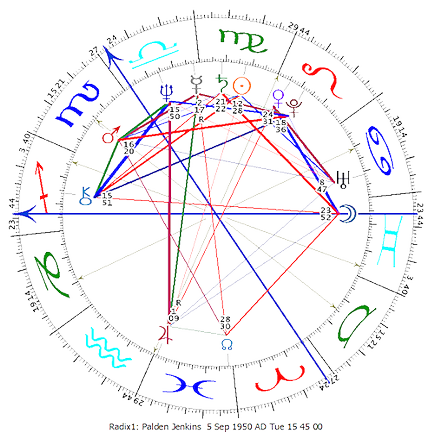 I'm a Virgo with Moon in Gemini and Sagittarius rising - my astrological chart is below. But, guess what, if I tell you something that is entirely new to you, something is wrong. Usually, deep down inside, you know these things, or you have hints of them. Perhaps they need articulating, clarifying or highlighting to help you distinguish the real stuff from fears, conditioning, self-doubt, concerns, pressures or other issues that can crowd your psyche. Especially when life is an uphill grind, a sticky mess, challenging or confusing. This isn't about fate and fortune, it's about your choices in life. It's about what you can do and also what you might need to recognise, acknowledge or accept. There are things we can change and things we can't, and it's good to clarify the difference. We're all, without exception, a bundle of contradictions, and often our 'problems' pertain to conflicts arising from different parts of ourselves competing for attention or dominance - these are what astrologers call 'sub-personalities'. It's all about coming to understand who we really are and what we're really here for. To arrange a session, contact me and we can fix a time and date for it. At the arranged time, give some space to your session: get yourself into a reasonably relaxed state and, afterwards, have some calm time to assimilate it. This helps. My standard charge is 70 GBP per session, £80 at weekends and public holidays, and £60 for returning clients. Payment can be made by PayPal (international), bank transfer (UK) or in cash (if it's a face-to-face session). If you are pleased with the results, please recommend me to people you know, and if you make a million, my Palestine work or prehistoric research always need funding assistance! My own astrological chart is here. You get a chart like this for your session - except it will show your own unique blueprint. It's a bit like a cosmic passport or a true ID.